Published 6/28/2011 . Last updated 9/15/2017 . Chocolate hummus is so decadent – like a rich chocolate mousse – that unless you tell your tasters it’s hummus, they’ll never know. Case in point: While I slathered chocolate hummus all over pita (probably too much of it because it’s “healthy”), I also used it to frost chocolate cupcakes. Friends and family unknowingly tasted the chocolate hummus frosted cupcakes (they were only told that it was a chocolate cupcake), and not a single soul gave me a sidelong “what are you feeding me” glance. I asked for feedback and I got comments like, “What do you want me to tell you? It’s just a really good chocolate cupcake with chocolate frosting.” Without knowing it, they gave me the exact feedback that I wanted to hear. 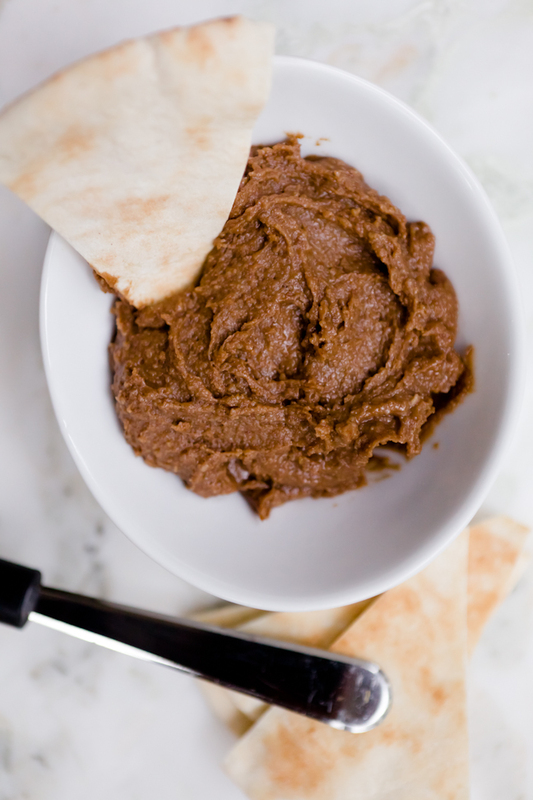 This chocolate hummus recipe is my own creation. However, I used the Snickerdoodle Dessert Hummus by Blissful Baking as a starting point. That hummus recipe should also be added to your short list of party spreads to try. Chocolate hummus is so decadent - like a rich chocolate mousse - that unless you tell your tasters it's hummus, they'll never know. 1/2 cup chocolate nut butter I used Justin's Chocolate Almond Butter. 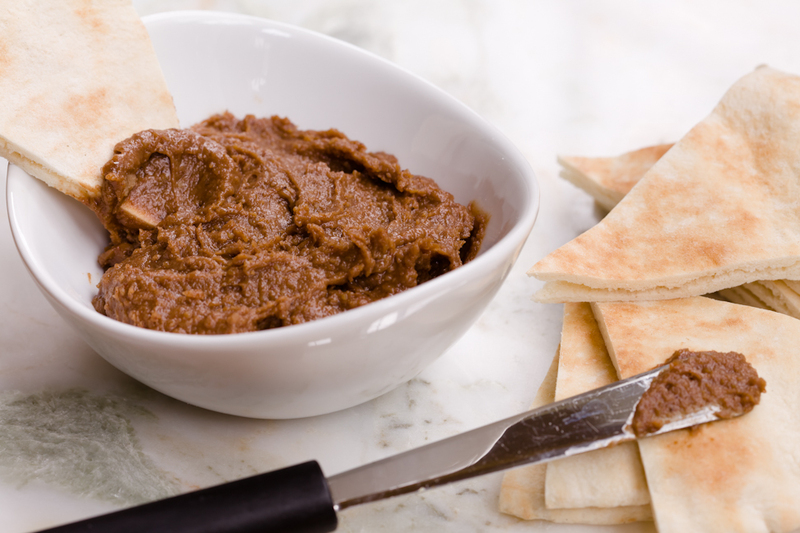 You could also use chocolate hazelnut spread like Nutella or a chocolate peanut butter. The higher quality your chocolate nut butter, the better the end result will be. If you use Nutella or another product with lots of added sugar, your end result will be sweeter than mine and, depending on your personal taste preferences, you may need to cut back on the honey. Put all of the ingredients in a food processor and pulse until it's as smooth as you can get it. This is a great party spread! Coming soon, I’ll share more about the chocolate cupcake that I topped with chocolate hummus. If you haven’t been to the Cupcake Project Facebook page in a while, you might want to stop by and check out the post about favorite vanilla cupcake recipes. See what others have suggested and add yours to the mix. I’ll be using those recipes for a baking project in July that I’ll fill you in on soon!